Perth has an amazing abundance of wetlands along its Swan Coastal Plains. Herdsman Lake is one of the lakes in this area surrounded by the suburbs Woodlands, Churchlands, Glendalough and Osborne Park. 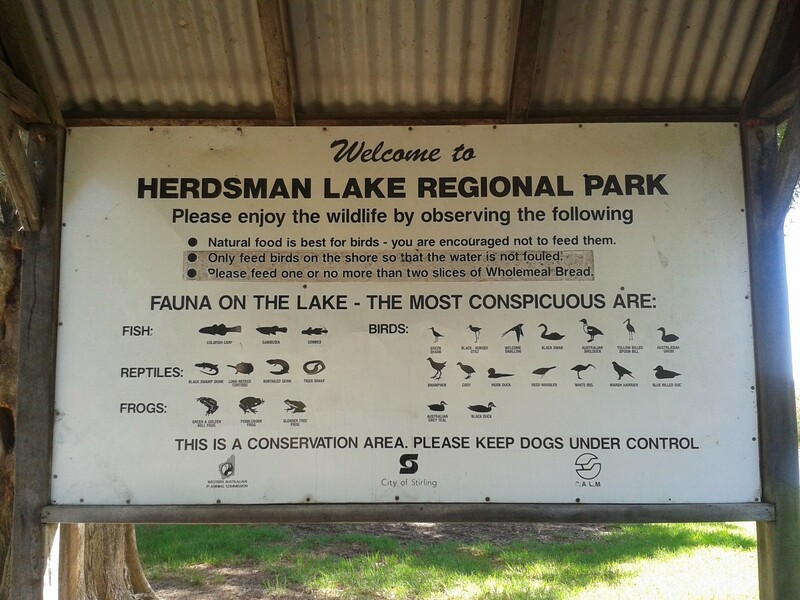 So my Dad and I decided to challenge ourselves and complete a circuit of the Herdsman Lake Regional Park. This took about 3 hours at a leisurely pace with a few refreshment breaks. We started near the playground at the carpark off Herdsman Parade near the intersection at Jon Sanders Drive. We set off along the concrete footpath alongside Powis Lake going off the main path over a bridge, then inwards towards the main wetlands lake. 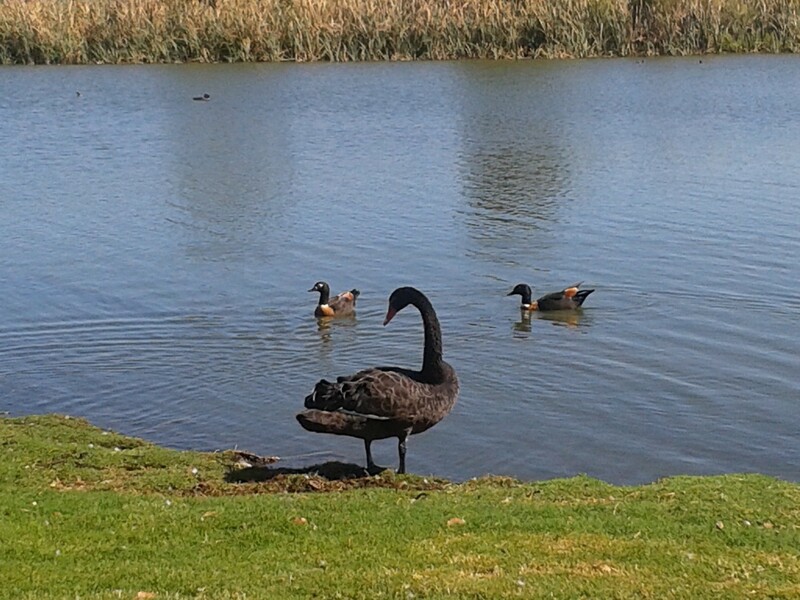 Here we spotted our first taste of the wildlife, namely Black Swans and Australian Shelducks. We continued back onto the main footpath used by walkers and cyclists alike. We passed enviously by the homes whose backyards faced the lake as we could imagine sitting on their balcony enjoying the view. 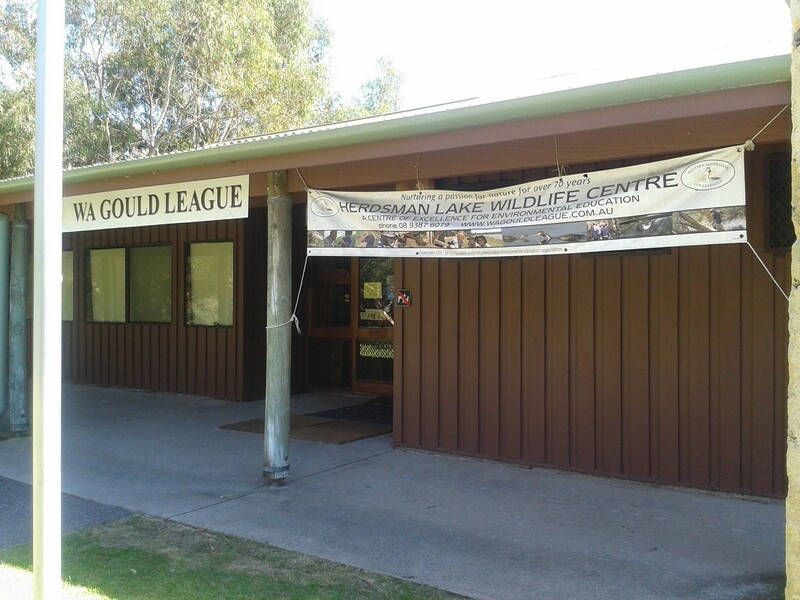 Continuing round we came across the WA Gould League's Herdsman Lake Wildlife Centre. This education centre hosts guided walks and other events that allow school children and the general public to re-connect with nature. 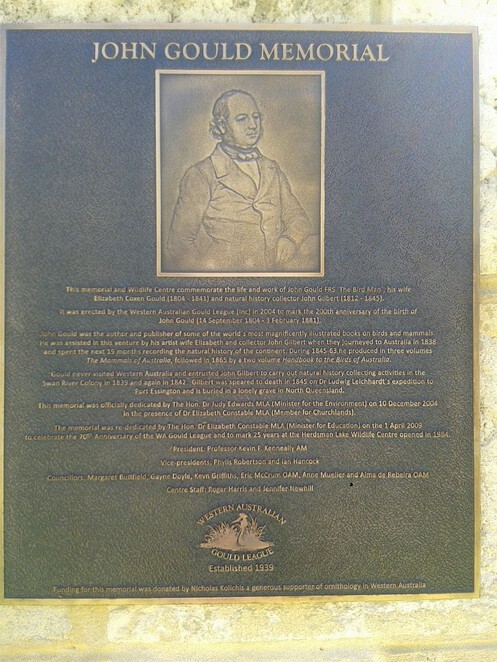 A monument outside the centre also commemorates John Gould, the English ornithologist and bird artist who produced illustrated volumes of Australian mammals and birds. 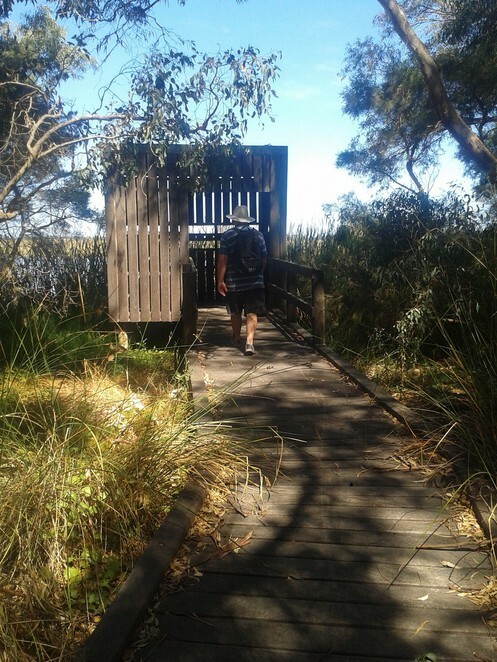 The centre faces onto the main lake, next to the Olive Seymour Walk, which is a 500m walk into the paperbark swamp area along boardwalks with lookouts. It didn't take long to take this small detour and it was teaming with white ibis, swamp hens and coots within the surrounding bulrushes. From there we continued along the Lakeside Road side of the park stopping at a playground and a sign detailing the wildlife and birds on offer. 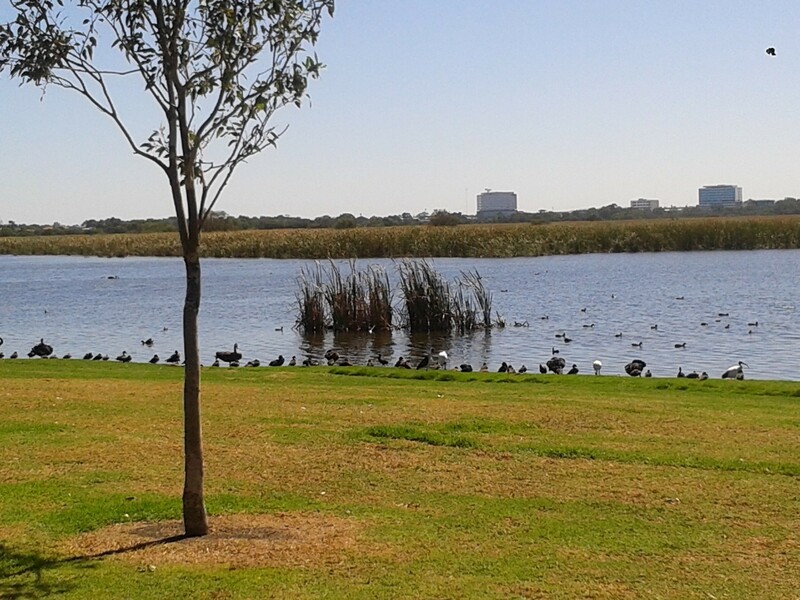 This was later illustrated by what looked like a town meeting of most of these birds by the edge of the lake. 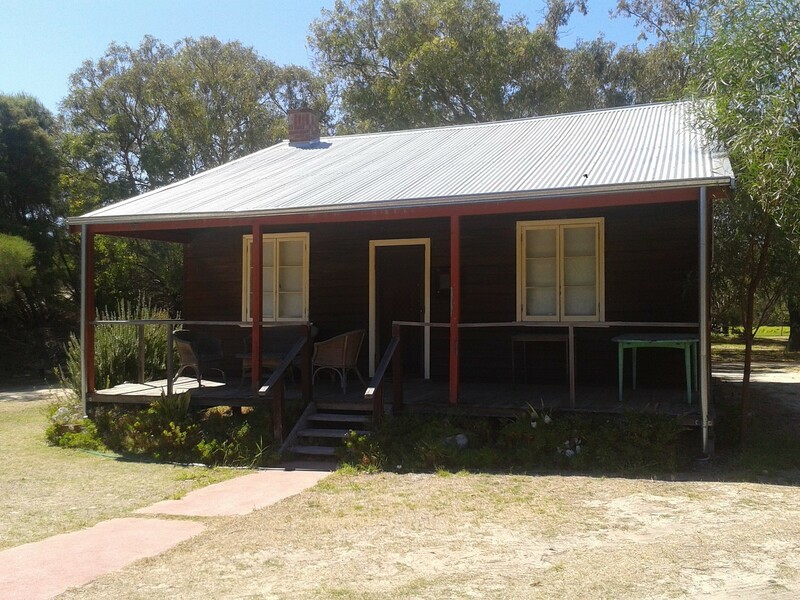 Following around past Floreat Waters and Maurice Hamer Park we found the restored 1920s settler's cottage off the path behind a gate. The signage near the cottage with details about the lakes was unfortunately unreadable due to either age or vandalism. The cottage was part of the Workers' Homes Board's scheme to house settlers who could live off the land growing produce. Unfortunately the soil wasn't fertile enough, which added to the settlers' troubles during the Great Depression so the scheme was abandoned. We left there to follow a limestone track back towards the lake as a view of Perth city emerged. Further up the trail along the street The Foreshore, heading towards Popeye Lake, we saw the statue created by Pietro Porcelli. This was rescued from the demolished AMP Chambers building and relocated here, our version of the english "folly" perhaps? After this unexpected view, we came across another playground and information boards which gave a good overview of the history of the area and the flora and fauna that could be found. 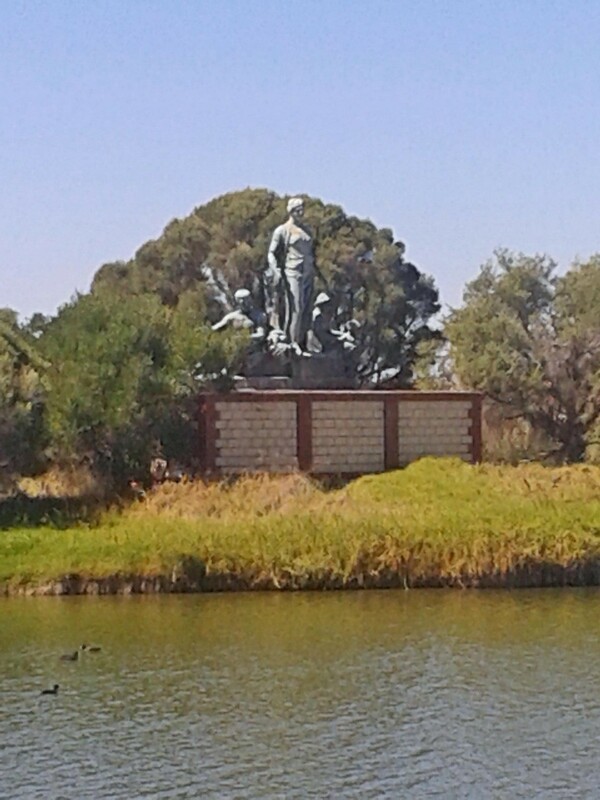 The local Noongar people had lived around the wetlands known as Ngurghboro (place of the jointed twig brush) within Mooro country. They camped on the higher ground to avoid flooding and hunted in the wetlands for frogs, waterfowl and tortoise. Walking past a small car park we ended up on Jon Sanders Drive. 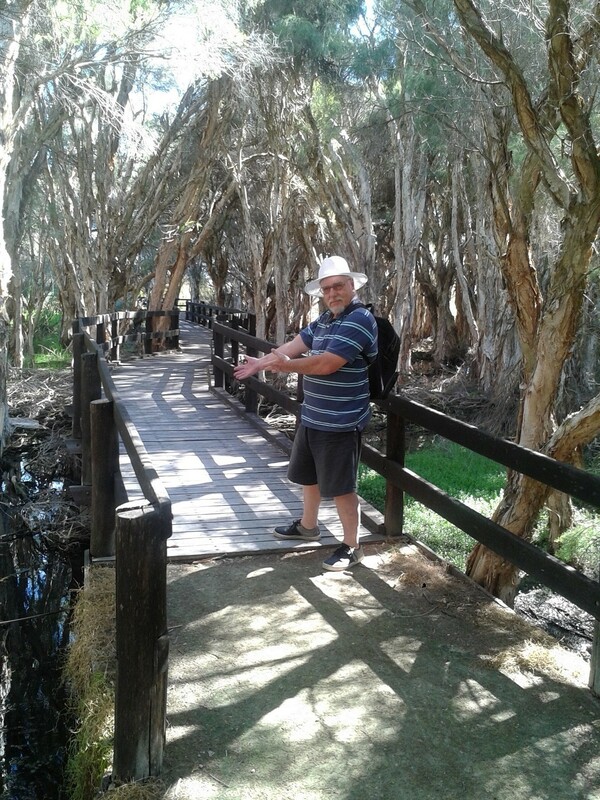 Along here there were two detours back into the bush to two bird look outs, Baumea and Balgay Bird Hides. We walked around back along Powis Lake back to the carpark where we started. It certainly felt like an achievement having circumnavigated the whole park. If you do decide to explore this area, do take your own drinking water and there are no toilet facilities. Walkers and cyclists have plenty of pathways to pick for a short or long walk or cycle so you can still view plenty of wildlife wherever you choose to venture. It certainly was an achievement, Celeste. Will add it to our bucket list of must 'walks'.